If you’re wondering whether Earth’s temperatures are rising, or whether people are responsible for global warming, then check out Hilde’s previous posts on climate change. Would global warming be really all that bad? We associate wintertime weather with unpleasantries like halting the agricultural growing season, overflowing of homeless shelters, and imperiling drivers. What will happen if mankind continues to pollute the atmosphere as usual? Will taking measures to curb greenhouse gas emissions make difference? According to projections made by the Intergovernmental Panel on Climate Change (IPCC), even if humanity works immediately to curb greenhouse gas emissions, we can still expect to see an 1.8 °C (3.24 °F) increase in temperature by the end of the 21st century. This will result in a 7-15 inch rise in sea level. These inevitable rises in sea level mean coastal flooding and destruction of homes and beaches, no matter what we do to change our circumstances. Studies say that it would already take a thousand years to reverse the damage we’ve already done and return to pre-industrial conditions. Projections assuming humanity continues on its current path of greenhouse gas pollution, however, anticipate much more severe consequences, with a likely sea level rise of 10 – 23 inches. Destruction to coastal communities and ecosystems through rising sea level. Climate change will affect people in poor and developing countries most severely, with people less able to change their circumstances in response to their changing climate. Canadian First Nations people living in the Arctic face drastic changes to their entire lifestyles, as melting ice impedes access to food and stands people on land. Are there any benefits to a warming climate? Well, a longer growing season (from shorter winters) may increase agricultural yields in some circumstances, but some weeds and pests also thrive under warmer conditions, causing issues for farmers. Unpredictable weather patterns will also trammel farming efforts, particularly in newly drought-ridden regions. While the planet’s future may seem bleak in face of climate change, many of these projected disasters can be mitigated by immediate action on behalf of the planet—both on the part of individuals as well as governments and businesses. Though it would take many years to reverse the impacts of human greenhouse gas emissions into the atmosphere,we currently have an opportunity to take action to support our environment. If we use this chance to protect our planet, we can secure its future as a healthy home for many more years. 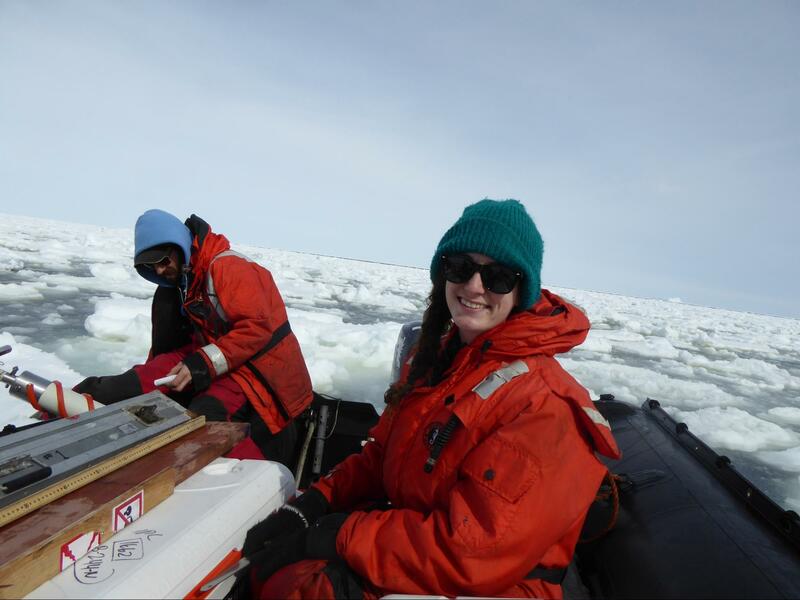 Hilde Oliver is a PhD student in the Department of Marine Sciences at the University of Georgia, where she studies how extreme melting of Greenland’s ice sheet is impacting marine ecosystems. Hilde is a huge fan of Korean food, yoga, and campy movies. Follow her on Twitter @polar_plankton or shoot her an email at hildeoliver@uga.edu. More from Hilde Oliver.